As days get colder and colder, at The Style Examiner we have been exploring men’s clothes that are simultaneously stylish and functional in order to keep us warm. The heritage trend in menswear is almost impossible to avoid, even if we feel that there is some tweed and tartan overkill in most stores these days. However, one aspect of the heritage trend that we find very charming is the use of elbow patches in jackets and knitwear. Elbow patches not only evoke the practical garments of the great outdoors but also bring back memories of school days when, as young boys, we were carefree with our clothes and ripped them while playing. 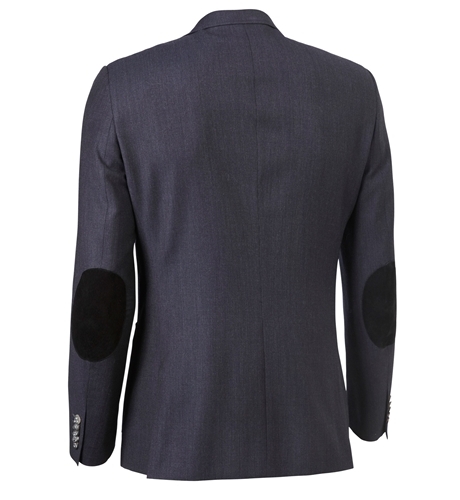 While recently viewing the online catalogue of Danish menswear brand Matinique we came across two very successful examples of how elbow patches can remain stylish and functional. The first is the Landt P Blazer, a two-button single-breasted jacket in dark blue or grey, with some very nice contemporary detailing in the shape of patch pockets, a slanted breast pocket on the left, and elbow patches. 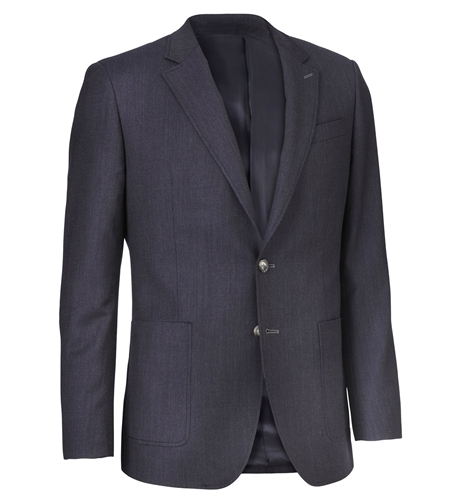 Despite the features that evoke casualness, the jacket also offers elegant and more formal details, such as five buttons on the cuffs and double back vents. 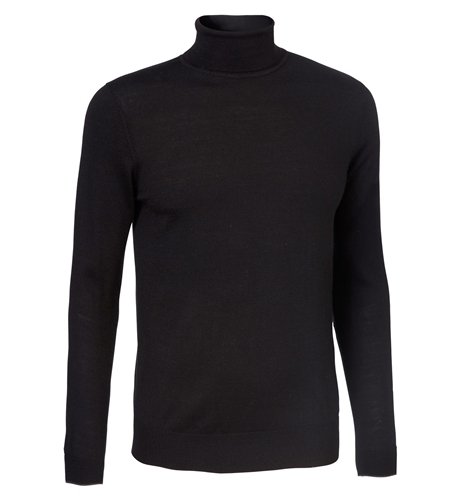 The fit is comfortable enough to wear with a turtle neck underneath, and we also managed to find a suitable one in the Matinique catalogue. 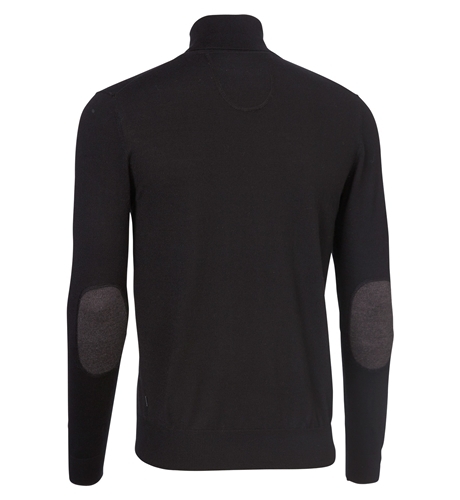 The Parcusman pullover, which contains Merino wool, is a high-neck pullover with subtle detailing, including elbow patches and a contrasting stripe on the bottom of the ribbed sleeves. It comes in ‘Burnt Umbra’ (a shade close to the trendy camel colour) or black. We tried them and came to the conclusion that the black version works very well with the navy blazer. 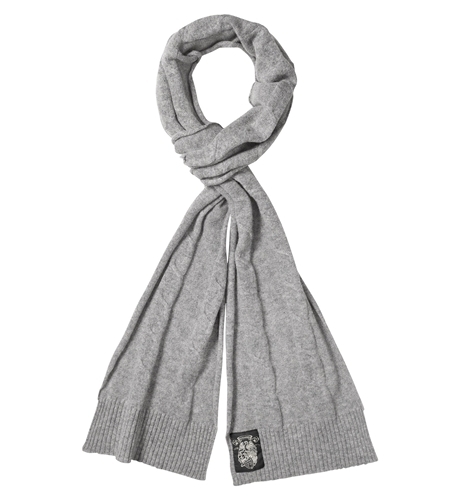 Match these two garments with Matinique’s oversized Lambswool Amelot D Scarf in light grey with a stylish Raglan pattern, and you will be ready to fight the cold weather in style!